Two live music academies for young musicians between the ages of 11-18yrs have been added to IGF's impressive roster. London Rocks takes place at The Guitar Institute between 23-27 July, and South West Rocks is at the University of Exeter between 8-12 August. Senior tutor Martin Goulding (pictured above) leads a team of exceptional session musicians from the Guitar Institute to provide a series of rock workshops for guitarists, drummers and vocalists. Students can sign up for early-stage, intermediate or advanced rock workshops. 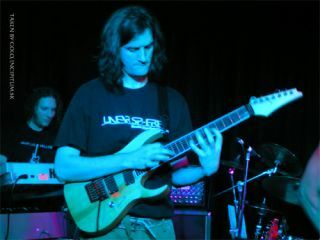 The syllabus provides modules covering all areas of technique from rhythm playing to soloing. The setlist visits classic rock artists such as Jimi Hendrix, Black Sabbath and AC/CD as well as more modern rockers Muse, Green Day, Foo Fighters and Red Hot Chili Peppers. More advanced players will explore the styles of The Big Four: thrash legends Metallica, Megadeth, Slayer and Anthrax. So whether you play solo or in a band, this is the place for you to work hard, have fun, and take your music making to the next level. Go to IGF.org.uk or email info@igf.org.uk to book your place.